You are probably now familiar with plant patents and their implications. But what alternatives do we have? Several ones, actually. 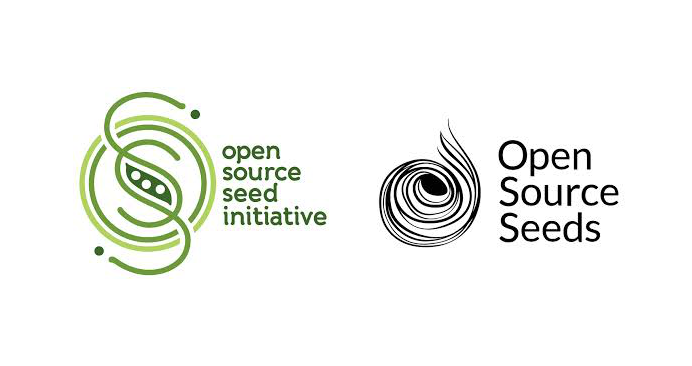 The Open Source Seed Initiative is an American organization whose mission is “to maintain fair and open access to plant genetic resources worldwide in order to ensure the availability of germplasm to farmers, gardeners, breeders, and communities of this and future generations“. The OSSI Pledge reads: “You have the freedom to use these OSSI-Pledged seeds in any way you choose. In return, you pledge not to restrict others’ use of these seeds or their derivatives by patents or other means, and to include this Pledge with any transfer of these seeds or their derivatives.” It is not a license. It is a copyleft commitment that ensures the Pledge is transmitted with any further distribution of the seed or the seed of any new varieties bred from it. “The Pledge has both moral and legal force. In this way, OSSI preserves the unencumbered exchange of plant germplasm for breeding purposes and guarantees the rights of farmers and gardeners to save and replant seed“. Breeders can pledge varietals to OSSI using the Open Source Seed Initiative Variety Designation agreement. They indeed need to provide information about this varietal. Approved varietals become “freed seeds” as opposed to “free seed”… The varietal is freed with respect to use, but not free in price. A pledged variety can be sold, freed from restrictions. OSSI-seeds come with a copy of the pledge to maintain and expand the commitment as the seeds are distributed. OpenSourceSeeds is a project of AGRECOL e.V., the Association for AgriCulture and Ecology. AGRECOL is a German nonprofit created in 1988. Their mission is to rethink agriculture with a more holistic and responsible approach, while promoting diversity and allowing the development of “varieties of the future” that have “ecological potential” in a “non-private seed sector, owned as a commons”. And they go beyond a pledge. They issued a formal license! The Open Source Seeds License is a legally binding agreement between the breeder and the requester. But an agreement that requires copyleft distribution of the variety under license, according to the open source principles. Anyone may freely use open-source seed – that is, grow, propagate, develop it further and use it for breeding. In addition, the seed and its developments may be transferred under existing laws, whether sold, exchanged or given away. No one, however, may privatize the seed and its developments – the licence excludes patent and plant variety protection. This open-source licence falls under the General Business Terms and Conditions of German Civil Law (BGB). However, we communicated with AGRECOL’s leadership and they accept cannabis breeders to use the OpenSourceSeeds License with no location restriction. They should submit all the information pertaining to the varietal to Open Source Seeds. A variety description to be used by gardeners and farmers that displays all relevant characteristics. Once completed, breeders issuing genetics under this license operate under German Civil Law. In terms of licensing their varieties, breeders simply need to include this short text with their seed packs. Similar to OSSI’s Pledge, seeds under OpenSourceSeeds License can be sold, freed from restrictions. So here it is, the Open Cannabis License template. In order to ensure that open source breeding initiatives happen in a democratic spirit, without any possible conflict of interest, it is best that such a license be issued by nonprofits, to their members. We are not a nonprofit. Hence, we have sent this template to various Cannabis Growers Alliances and Associations in the US and Canada, and would be stoked to see them issue such a license to their members, once adjusted to fit their local specificities and legal systems. That said, the terms of this license are standard enough to be compatible with most legal systems recognizing the concept of Intellectual Property, making adaptation quite straightforward. Now, if you are a grower, cultivator or breeder, member of a growers alliance or association, and want to open source license your genetics, you shouldn’t hesitate to reach out to your leaders (board of directors) and ask for an Open Source Cannabis License to be made available to all members. Point them to the above template to speed up the process with their legal counsel. If they need the word version to facilitate their work, we would be happy to share it. The only requirement is to issue their own license under the same Collaborative Commons CC-BY-SA terms. Note that, this Open Cannabis License may also be used as a starting point to draft a Pledge. A pledge would have less legal force, but could be a very good start for a nonprofit wanting to offer that less constraining option to its members. In an ideal world, most growers alliances and associations would provide an Open Source Cannabis Breeding license or pledge to their members, following the above consistent standard across all geographies. When open source breeding becomes a standard, at scale, canna-biodiversity will thrive, for the benefit of the entire industry, as well as patients and customers. Download the Open Cannabis License, share it with your nonprofit organizations and let us know how we can support these initiatives indeed. Let’s make it go viral!